Big data, digitalization, geopolitical changes – these three terms stand for the rapid change the world is undergoing in the 21st century. Is it, maybe, too rapid for our society and our economy? 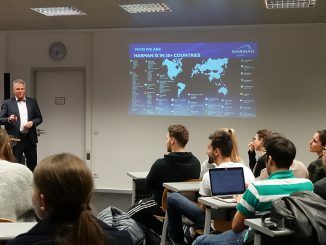 Markus Blume, member of the parliament of the federal state of Bavaria, addressed these questions in his guest lecture titled “Paradise at risk” at Munich Business School (MBS). 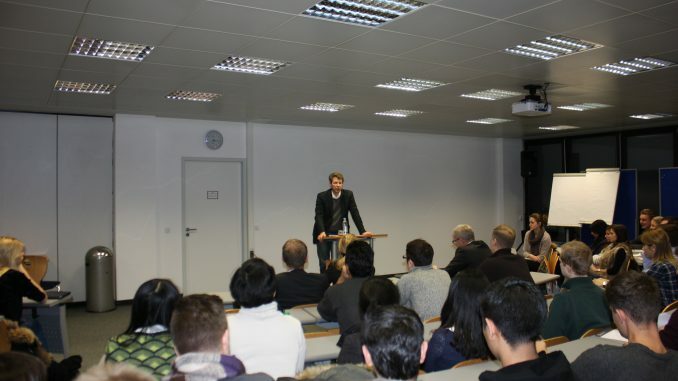 About 85 MBS students attended the event on Tuesday, February 10, 2015, to listen to and speak with Markus Blume. The 40-year old conservative politician and former entrepreneur is a sought-after expert on topics like digitalization, globalization and demographic development. Blume’s special focus, however, is on the developments of the Free State of Bavaria – the “Paradise at risk”. 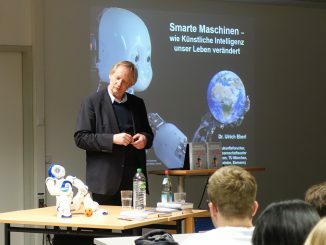 After a short introduction by MBS president Dr. h.c. Rudolf Gröger, Markus Blume spoke about the phenomena sweeping and influencing the world of the 21st century, leaving their distinct mark. Issues like big data, digitalization and geopolitical changes are factors affecting all areas of modern life, including society and the economy. Will Google soon be a car brand? 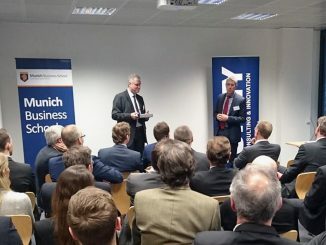 Markus Blume exemplified the risk of such developments by referring to the Bavarian automotive industry: Worldwide, cars made in Munich and Ingolstadt enjoy an exceptional reputation. Their traditional features have always been the convincing German engineering know-how and technical innovation. Simultaneously, they are trend setters in design. But, like in all industries, the software factor plays an increasingly important role in the automotive sector, in particular with regard to projects like driverless cars. Replacing reliable technology, the applied software might become the decisive purchasing criterion – to the detriment of established manufacturers such as Audi or BMW. Therefore, Markus Blume demands internationally binding rules to ensure equal opportunities for all companies and to prevent competitive distortion. Otherwise, huge data collectors and global players such as Google or Apple could end up exerting disproportionate influence, and even dominating the automotive market and other industries. In his presentation, Markus Blume also addressed the issues of demographic change and migration: Germany is a classical immigration country. In today’s Bavaria, fifty percent of all students have a migrant background. According to Blume, a new societal identity is needed to use resulting opportunities effectively, according to the motto: In Bavaria, the Bavarian is no longer by himself. 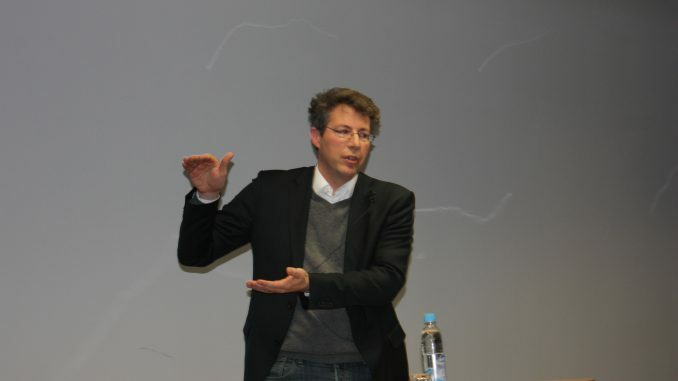 In closing, Markus Blume made a forceful appeal to the students: There are global developments that cannot be stopped or reversed – not in Bavaria or elsewhere, he said. A new awareness was needed to confront them. 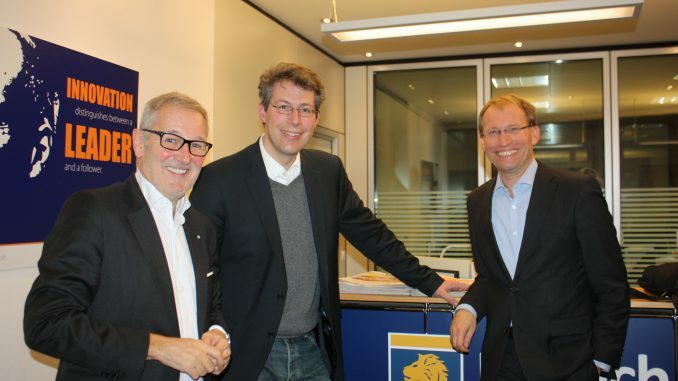 Otherwise the (business) paradise of Bavaria would be at risk. A lively discussion followed this remarkable presentation. Above all, many of the international guest students in the plenum were keenly interested in migration topics.